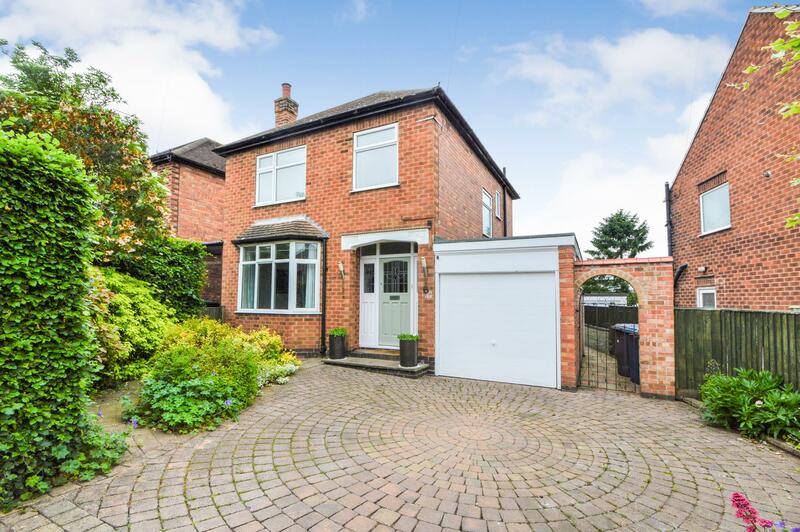 Benjamins are pleased to bring to market this Three Bedroom Detached house in the sought after South Nottingham village of Keyworth on Ashley Road. This property benefits from an extension to the rear which backs on to a long West facing garden. It briefly comprises; Entrance Porch, Entrance hallway, front sitting room, Lounge diner, Kitchen, Three Bedrooms Upstairs, Family Bathroom, Large Rear Garden & Off Road Parking. Stain glass front door, telephone point, wood flooring, radiator, stairs leading to first floor. radiator, patio doors leading out to the rear garden. Newly fitted kitchen with one and a half stainless steel sink inset with drainer and mixer taps, integrated oven and four ring gas hobs with extractor fan over head and clear splashback, plumbing for dishwasher, fridge freezer and washing machine, tiled floor, under stairs storage cupboard, double glazed windows to side and rear, double glazed opaque upvc door leading to side. Upvc double glazed window to the front elevation, radiator, fitted wardrobes, spotlights. Upvc double glazed window to the rear elevation, radiator, t.v point. Upvc double glazed window to the front elevation, radiator, telephone point. 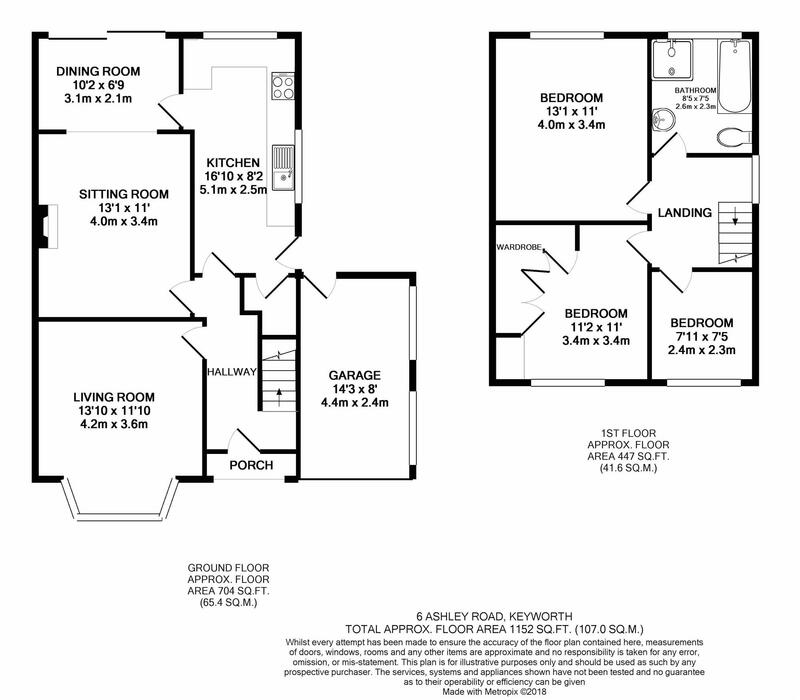 Fitted four piece suite comprising of a low flush wc, pedestal hand wash basin, shower cubicle with shower head over, bathtub, tiled walls, towel radiator, obscure double glazed window to the rear elevation. The front of the property comprises of a large driveway with hedged borders leading to a detached single garage with power points and lighting. The generously sized rear plot is mostly laid to lawn also having a large patio area and pathway leading to the bottom of the garden and has a variety of shrubs and trees with fenced borders.